“For me, the wheelchair symbolizes disability in a way a cane does not” quoted by late American actress Annette Funicello. A wheelchair is probably the last set of wheels any human would wish for. 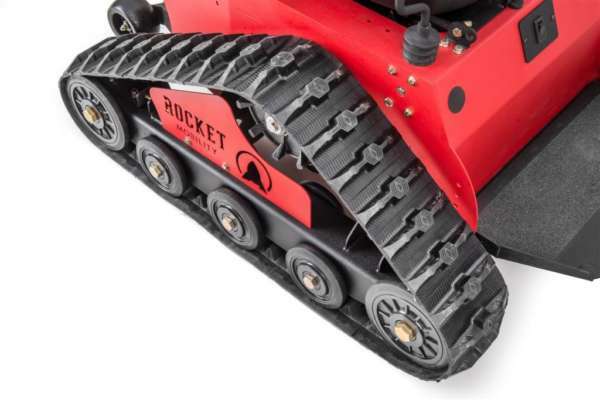 But Nebraska Rocket Mobility has managed to add another dimension read fun and convenience. 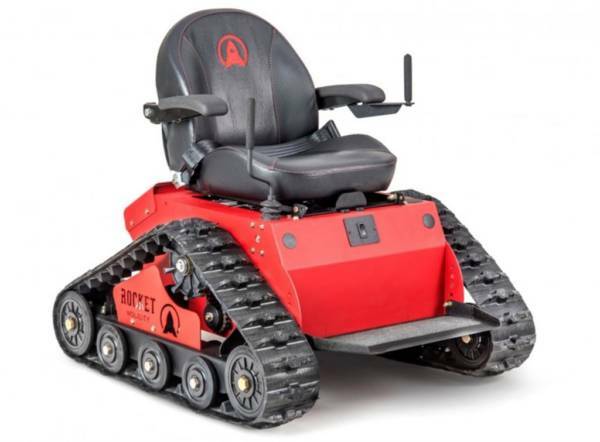 Say hello to the Tomahawk offroad wheelchair- a tracked personal utility vehicle targeted at the disabled who wish for that added convenience and the fun factor while moving around in their everyday life. 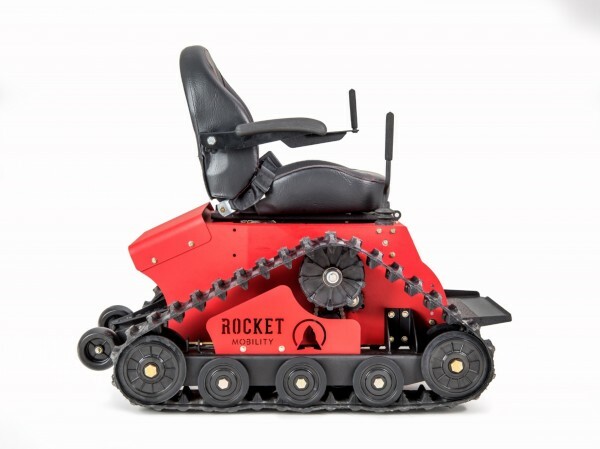 Built on a steel frame, the 172 kgs Tomahawk features two deep-cycle 12-volt batteries providing juice to the two 4.8kw (6.5 bhp) motors that could take adventurous wheelchair to 19 kms on a full charge at a maximum speed of 10 kph. 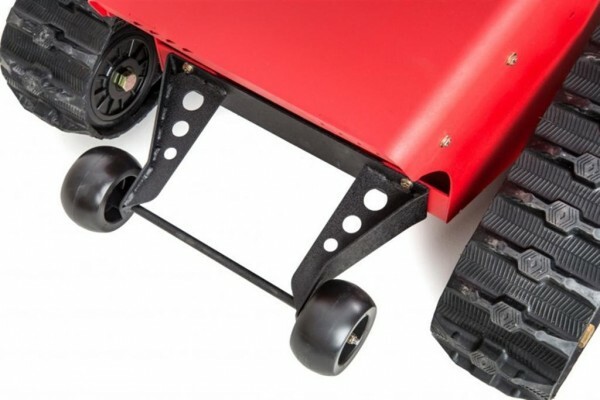 The mechanical joystick can be mounted on either side that aids the Tomahawk for a zero turning radius. An adjustable lap belt and flip up arm rests take care of the comfort and safety features. Ground clearance is a decent 5.5 inches with the seat height set at 23 inches. 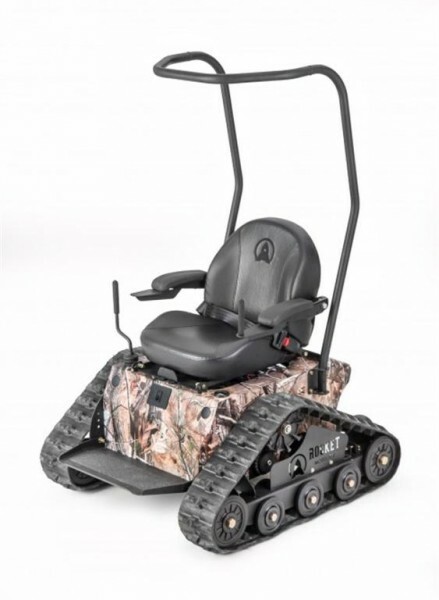 Also the Tomahawk offroad wheelchair features rear anti-tip wheels that helps avert a backward tumble in case the climb gets too steep. Priced a shade under $10,000, the Tomahawk can be enhanced further with options such as a roll bar, racing seat, extended lap belt, self levelling drink holder, LED headlight and a 20 amp battery charger pushing the price further to $12,960. If that wasn’t all- one can request a custom shade for the Tomahawk at an extra of $495. A gun rack, scabbard and a fishing road holder is also being offered for the hunting and fishing enthusiasts- again at extra cost. The price seems the only deterrent for this mini-tank, but if disregarded would probably be the best way to make a disabled jump with joy….well almost.